A few years ago, I was commissioned by a Government agency to write a TV drama about Total Defence. 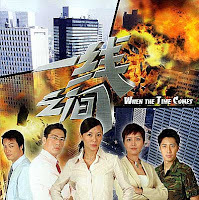 But because no one wants to watch a TV drama about Total Defence, I tried to disguise it as an action-packed thriller about a terrorist attack in Singapore - that just happened to cover the five aspects of Total Defence: military, civil, economic, social and psychological. Yes, I'm rolling my eyes too. But what impressed me was that the agency didn't want to be named in the credits or any of the marketing material (and not because the show was bad, which it was). It was because the agency realised that viewers would avoid the show if they knew it was Government-sponsored. Now that takes self-awareness - not to mention great restraint for any organisation to resist plastering its logo all over something it had spent hundreds of thousands of dollars on. I thought that this would be a new trend, that all future Government-sponsored shows would be similarly stealthy in attracting the masses. Which brings me to the Singapore Arts Festival. To counter dwindling attendances, this year's festival has cut ticket prices and attempted a more "hip" and "accessible" programme, which to the organisers apparently means dancing monks and Indonesian hip-hop acts. Yes, I'm rolling my eyes again. The problem with the Singapore Arts Festival is that it's called the Singapore Arts Festival. If it's really serious about drawing crowds, it should rename itself the Edison Chen Photo Exhibition. Another problem is that the festival is organised by the National Arts Council, which is part of the Ministry of Information, Communication and the Arts, and they won't let us forget it. That it's an "arts" festival already makes it inaccessible to 90 per cent of the population. That it's also Government-sanctioned makes it 100 per cent unhip. It's like me telling my 9-year-old daughter that U2 is a better band - despite their crappy new single - than the Jonas Brothers. She rolls her eyes and dismisses me like the classic rock-loving old fart that I am. Oh, but if it's her schoolmate Christine who tells her the same thing, then suddenly I must, must, must buy her U2's new CD. I don't think I care for this Christine character very much. You can bet I won't be taking my daughter to the arts festival anytime soon. Even if it's disguised as an action-packed thriller about a terrorist attack in Singapore.